Reconsider travel to Burundi due to crime and armed conflict. 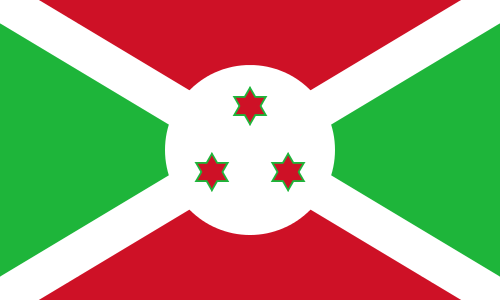 One of the poorest countries in the world, Burundi is a small francophone, densely populated central African nation bordering Lake Tanganyika, Rwanda, Tanzania and the Democratic Republic of Congo. After more than 12 years of civil and ethnic strife, an electoral process deemed free and fair resulted in the installation of a democratic government in 2005. Years of fighting have devastated a historically fragile economy that depends largely on subsistence agriculture. Poor public health and education, weather disasters such as drought and floods, crop diseases, soaring food and fuel prices, and lack of infrastructure exacerbate the effects of conflict and delay recovery. Limited facilities for tourism are slowly becoming available around Bujumbura. Outside the capital particularly towards the southern town of Rumonge tourist facilities are developing along the lakeshore. However, road and safety guidelines should be considered when traveling outside of Bujumbura. TESOL Certification for Teaching English to Speakers of other Languages in Burundi.